Is Stoneridge, Inc. (NYSE:SRI) Worthy of Your Portfolio? In this article, we are going to take a closer look at the hedge fund sentiment towards Stoneridge, Inc. (NYSE:SRI). Overall, the company registered an increase in popularity, since the number of funds from our database long the stock advanced to 24 from 21 between July and September. However, the level and the change in hedge fund popularity aren’t the only variables you need to analyze to decipher hedge funds’ perspectives. A stock may witness a boost in popularity but it may still be less popular than similarly priced stocks. 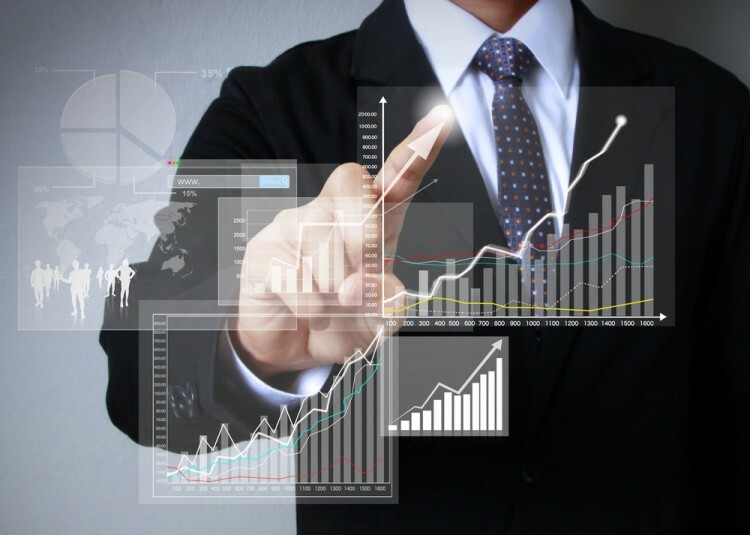 That’s why at the end of this article we will examine companies such as Actua Corp (NASDAQ:ACTA), SciClone Pharmaceuticals, Inc. (NASDAQ:SCLN), and XO Group Inc (NYSE:XOXO) to gather more data points. Keeping this in mind, we’re going to take a look at the latest action encompassing Stoneridge, Inc. (NYSE:SRI). Heading into the fourth quarter of 2016, a total of 24 funds tracked by Insider Monkey were bullish on this stock, up by 14% over the quarter. 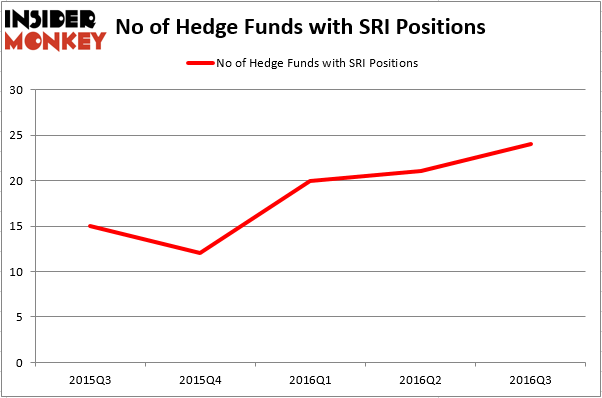 Below, you can check out the change in hedge fund sentiment towards SRI over the last five quarters. So, let’s find out which hedge funds were among the top holders of the stock and which hedge funds were making big moves. When looking at the institutional investors followed by Insider Monkey, Richard S. Pzena’s Pzena Investment Management has the number one position in Stoneridge, Inc. (NYSE:SRI), worth close to $26.9 million, corresponding to 0.2% of its total 13F portfolio. Sitting at the No. 2 spot is Jim Simons’ Renaissance Technologies, which holds a $10 million position; less than 0.1%% of its 13F portfolio is allocated to the stock. Some other professional money managers with similar optimism consist of Gregg J. Powers’s Private Capital Management, Robert B. Gillam’s McKinley Capital Management, and Michael O’Keefe’s 12th Street Asset Management. We should note that 12th Street Asset Management is among our list of the 100 best performing hedge funds which is based on the performance of their 13F long positions in non-microcap stocks. Helen of Troy Limited (HELE): 73% Surge in Smart Money Ownership; What’... Vince Holding Corp (VNCE): Hedge Funds Keep Heading Elsewhere Is Cabot Corp (CBT) A Good Stock to Buy? Should You Get Out of UniFirst Corp (UNF) Now? Hedge Funds Are. Is Vitamin Shoppe Inc (VSI) Going to Burn These Hedge Funds? Is It Time to Buy Ultra Clean Holdings Inc (UCTT)? Smart Money Thinks So.